Strategic Messaging – As the first step in every project, Griffin Strategies engages in a thorough situational analysis and message exercise to identify the most effective messages that will appeal to your target audiences. 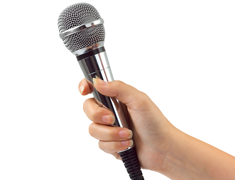 Media Training – Talking to reporters can be intimidating. Learn from the pros at Griffin Strategies how to prepare for interviews, avoid potential pitfalls and communicate your key messages, all while appearing cool and confident. Media Relations and Story Pitching – A flood of stories and ideas are competing in the media; Griffin Strategies has the experience and know-how to connect your story with key reporters and media gatekeepers. Media Materials – From news releases and media kits to guest columns, letters to the editor and magazine articles, Griffin Strategies brings your message to life and positions your story to grab the media’s attention and engage your target audiences. Media List Building – Unsure how to find the right reporters for your story? Let Griffin Strategies help you build a carefully-targeted media list for your needs. Campaign Management – Not only do we come up with smart strategies, but we manage every step of the implementation, adjusting as needed, to keep your campaign on track and on budget. Crisis Counsel – How do you respond when something bad happens? Griffin Strategies helps you plan before you’re in a pinch and then puts your plan into action should a crisis arise. Speechwriting and Coaching – Leaders in business and public life are frequently called upon to give speeches – we’ll make sure yours hits the mark. We’ll work with you on both the verbal and non-verbal messages, so the audience understands who you are, what you offer and why they should trust you.